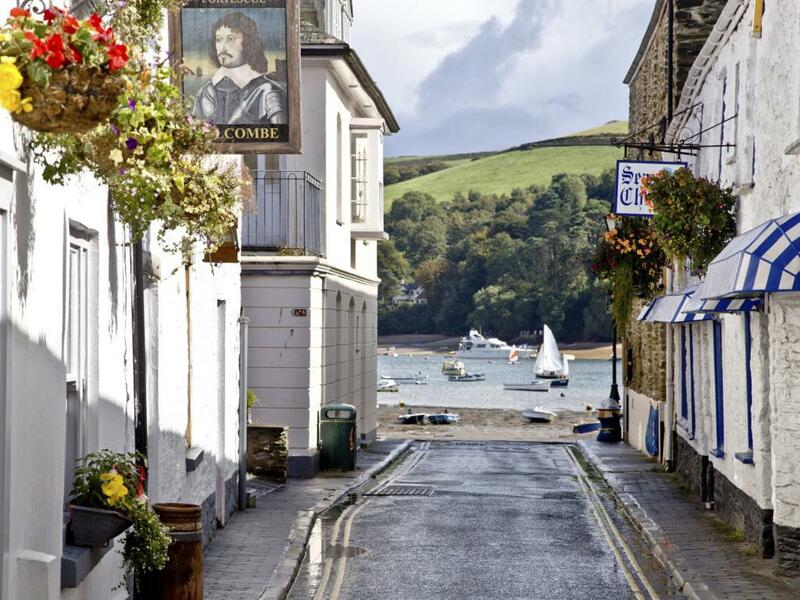 Salcombe was once a major port for the fruit trade and, over the years, has found fame as a safe haven for family holidays and visiting yachtsmen. It is situated at the southern end of the Salcombe Estuary; the estuary is, in fact, a ria which is a landlocked, salt water inlet, with beautiful, safe, sandy beaches. The whole area is a Marine Site of Special Scientific Interest, a Marine Local Nature Reserve and an Area of Outstanding Natural Beauty. Bordered by magnificent cliffs which form part of the South West Coast Path which has been mentioned in the Great Adventures book, by The Lonely Planet, as one of the world’s most awe inspiring hikes. Described as “walking at its most diverse and most spectacular”, it is the only hike in the UK to make it into the highly respected guide book. Looking from Salcombe over the water is the village of East Portlemouth with its lovely beaches. There is a ferry from town which runs regularly to the other side and, if you are adventurous you can find many smaller beaches by joining the South West Coast Path and dipping down from the path on to the sands. Not far from East Portlemouth inland is the pretty village of East Prawle. Nearby is the hamlet of South Pool with its thatched cottages. Further along the coast is the Start Point Lighthouse, which is open to the public, as is the National Coastwatch Institution Look Out at Prawle Point, both well worth a visit.